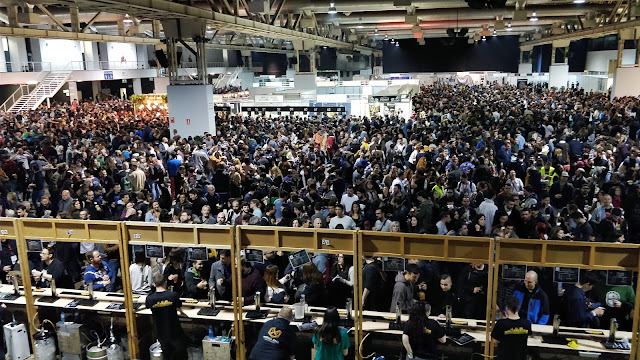 Saturday afternoon at the Barcelona Beer Festival 2018. In a joint effort between the Catalan Tourism Board and Beer Events -the company behind the Barcelona Beer Festival- the Craft Beer & Gastronomy route was designed for the attendance of key people in the dissemination of beer culture. The main idea was to let leading writers and bloggers know more about the richness and gastronomic tradition from which we part as a country, with a special emphasis on the incipient microbrewing industry, which in recent years has begun to reap the fruits of its labours, shining both within and beyond our borders. 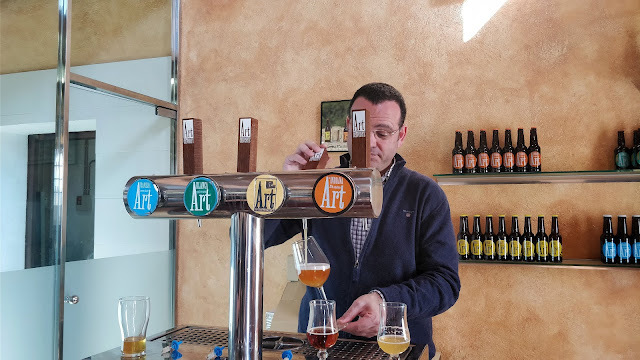 As a result of the above, during six intense days of March, a small group of people could see first-hand the current developments in some remarkable breweries from Catalonia, combining these visits with others of a cultural or culinary nature. The stress when planning the route was put in a key aspect such as the quality of the product, but also in the innovation or the local character of the beer. How many times have we wondered how others see our beer scene from the outside? Or if our beers are good enough or not to be shown around Europe. Or whether the positivist messages some of us stand up for, about the growing quality of our local beer, are based on a mixture of goodness and hope or on a solid reality. Carlos Rodríguez, serving Cask Ale during the tenth anniversary of Ales Agullons. Below you can find a compilation of a good part of the publications made by the group of people who enjoyed this complete Catalan beer route, so that we can have more perspective on questions such as those raised in the previous paragraph. James Beeson, 26 March 2018 on Morning Advertiser, An insider's guide to Catalonia's most exciting craft breweries: 'While macro lagers are still popular throughout the Mediterranean, Catalonia has a growing craft beer scene, which is developing at a considerable pace'. 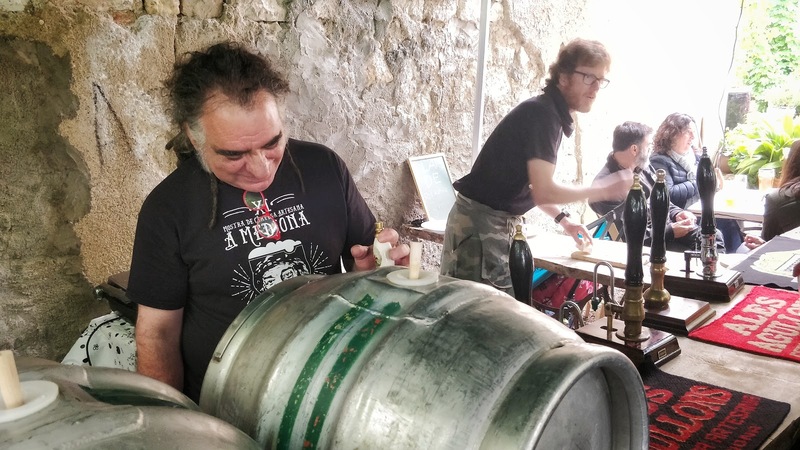 Martyn Cornell, 4 de April 2018 on Zythophile, Homage to Catalonian Beer Tourism: '[...] as the craft beer revolution spreads around the world, and people in different countries realise there is more to be drunk than “industrial” lager, those places that react quickest and with most enthusiasm – and skill – to the opportunities for making different, interesting beers are the ones with an existing tradition of “foodiness”, of discriminating palates, dedication to fine eating, to artisanal food production'. Pete Brown, on Original Gravity magazine April 2018 issue, Beer Traveller: Catalonia Transformed: 'Catalonia may have never had a beer culture, but it’s always possessed a proud sense of gastronomic independence, a genuine love of food that is as amazing as it is simple and democratic. Craft beer was a perfect foil, a natural fit'. James Beeson, 25 April 2018 on Beeson on Beer, Given to the wild: how Catalonia's rural brewers have embraced mixed fermentation: '[...] to establish themselves internationally, and to scratch the creative itch of the brewers themselves, Catalan breweries are becoming increasingly innovative, using the region’s rich collection of wine barrels, as well as looking further afield, to influence their beer'. 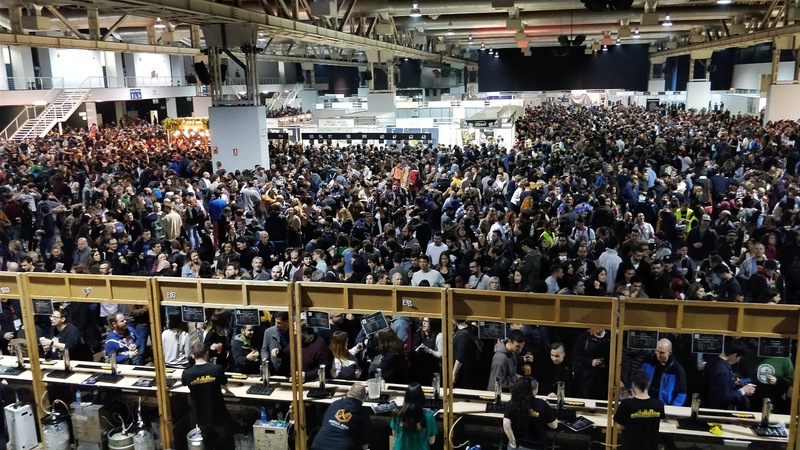 Pete Brown, 30 April 2018 on Morning Adverstiser, Opinion: What Pete Brown feels the GBBF can learn from the Barcelona Beer Festival: 'Catalonia has always had a very strong gastronomic culture, but its interest in beer is very new. This makes for a powerful combination that's throwing out fresh ideas. There's no shame in nicking some of them'. Simon Martin, on Youtube's channel Real Ale Craft Beer, has posted a wide variety of videos from Cervesa Montseny (1, 2, 3, 4), Vic Brewery (1, 2, 3), La Calavera (1, 2, 3), La Pirata (1, 2, 3, 4, 5), CTretze (1, 2, 3, 4, 5, 6), Lo Vilot (1, 2) Ales Agullons (1), Edge Brewing (1, 2, 3), Art Cervesers (1), Garage Beer Co (1), NaparBCN (1), Moritz (1), Miscellaneous (1) and Barcelona Beer Festival (1, 2, 3, 4, 5, 6, 7, 8, 9, 10, 11). Furthermore, Twitter also filled with messages and impressions about different moments of the route. For instance, Canadian writer Stephen Beaumont, who in his recently published book Will travel for beer highlights Barcelona as one of the 101 remarkable beer journeys -'There are a multitude of excuses that can be used to justify a trip to Barcelona [ ...] What is not ordinarily used as the basis for such an excursion is beer. Although I suspect that might be shortly about to change'-, shared the following assessment about two well-known La Pirata beers, among many others. With a deeper day-to-day knowledge of our local beer scene, we could of course complement or even ammend some of the impressions highlighted above. No doubt. In addition, it is clear that when we travel we all have a special predisposition to like what we visit. Plus, it was a press trip with covered expenses. We can keep on looking for objections, excuses and defects. But the collective effort of a sector that has grown and developed in the context of a terrible financial crisis cannot be underestimated. I am personally proud to see how leading writers, whose texts I have been following for a decade in some cases, enthusiastically position themselves before what has been slowly brewing in our local kettle since the early 90's. Happy to see how the contribution of many people begins to collect a deserved and accredited recognition. Joan Rota, serving Art Orus in the premises of Can Partegàs. Let me finish the post by quoting a line from Martyn Cornell, extracted from the previously highlighted post: 'Catalonia should definitely be on your “check it out” list. If you’re going to Catalonia on holiday anyway, don’t miss out on the beer scene'. Transparency disclosure: I am an active collaborator of the company Beer Events SL, both in the organisation of the Barcelona Beer Festival and in other types of commissions.